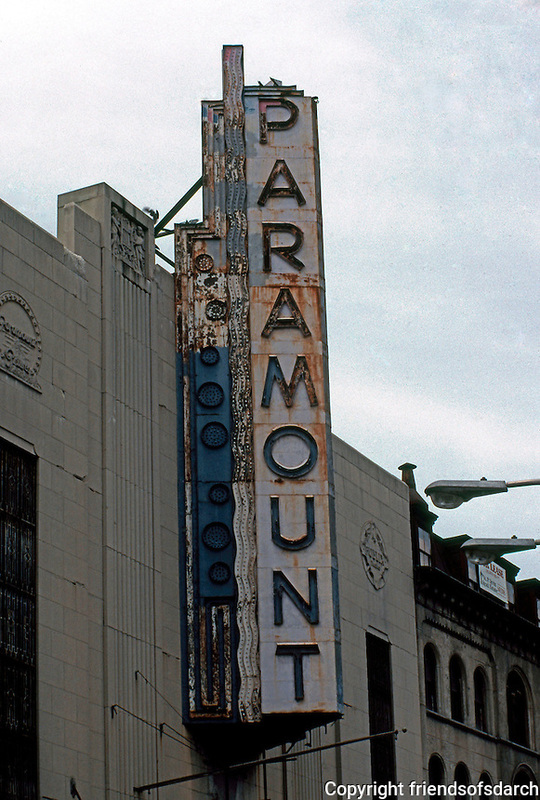 Movie Theatre: Boston--Paramount Marquee, 1930-32. "Boston's Best Art Deco Theater"... A.I.A. Arthur Bowditch. Photo '91.